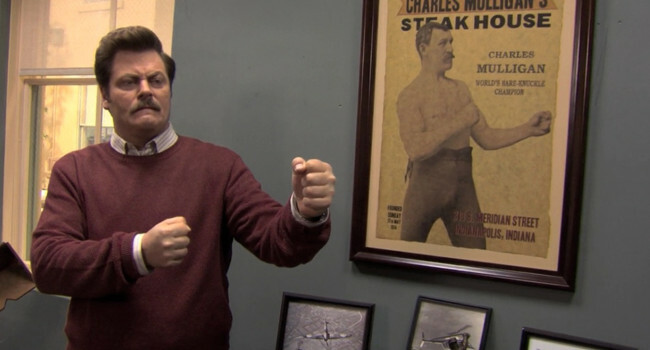 Ron Swanson is a macho, meat-loving government employee who works for the Parks and Recreation Department in Pawnee, Indiana. This manly man loves anything to do with bacon, eggs or steak, and is a fan of what the locals refer to as the “Meat Tornado”. Ron also enjoys woodworking and playing the sax as his alter ego, Duke Silver.